Sure we know Donald and Daffy, but there’s much more to ducks than we’ve seen in cartoons. In reality, ducks—members of the Anatidae family—are extraordinarily complex creatures, the product of millions of years of evolutionary adaptation. 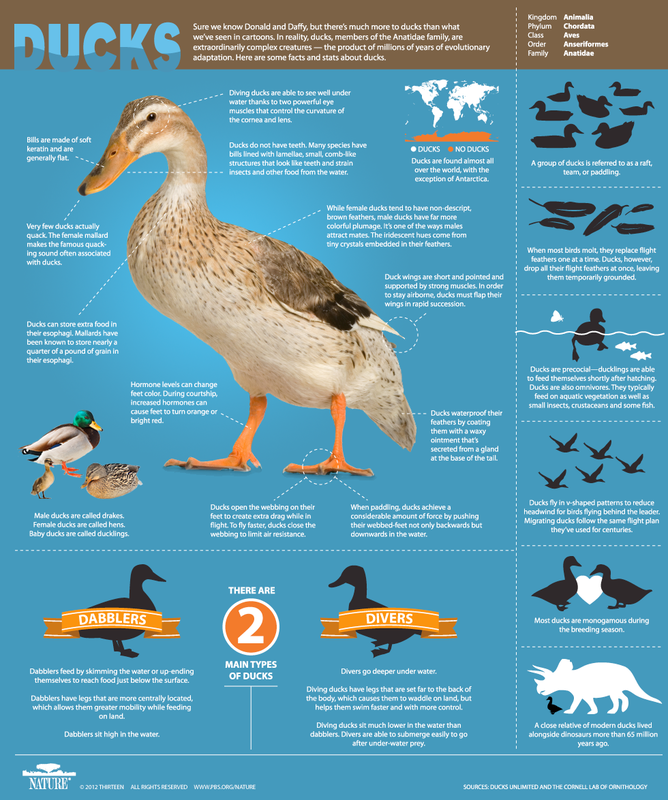 Here are some facts and stats about ducks.